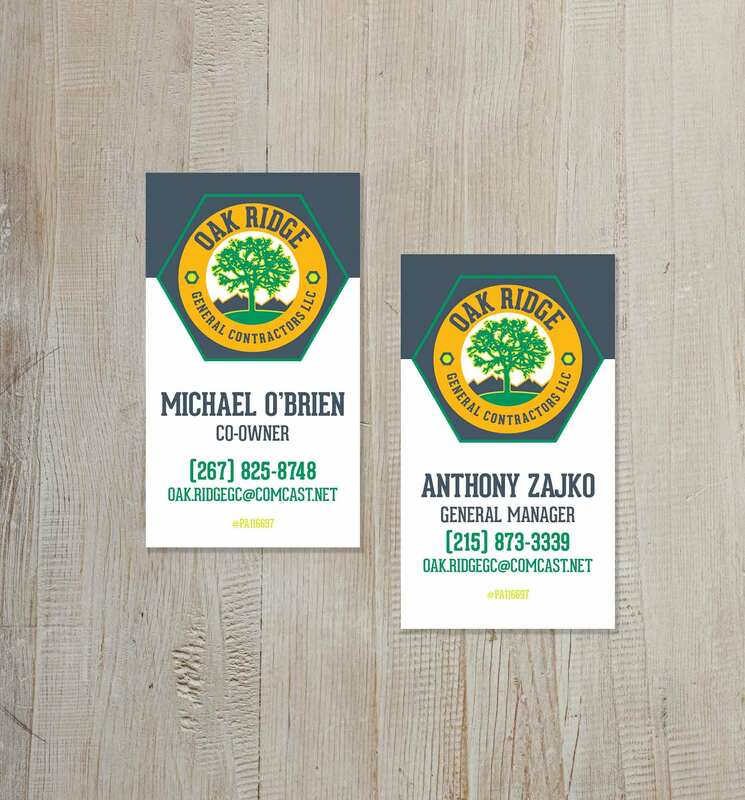 Oak Ridge General Contracting was just starting up when they came to SSC for a logo and business cards. SSC created a literal mark for Oak Ridge showing an oak tree standing tall with mountains in the background, enclosed in the shape of a nut. Colors are bold and masculine and construction orange is used as a pop color.